For IT News Week 1 of Aug 2018, Alibaba Cloud's Availability Zone B was worth a peek. Four companies of the NTT Group (Dimension Data, NTT Communications, NTT DATA, NTT Security) today announced that it has been recognized as a “Leader” in both execution capabilities and strategies in the latest IDC MarketScape: Asia/Pacific Managed Security Services 2018 Vendor Assessment. 11street to further enhance the customer shopping experience and make significant contributions to the digital economy in Malaysia under new leadership. Top [L-R] Chief Financial Officer, Naza Rahim, General Manager of Business Development and Partnership, Henry Ho, Chief Corporate Strategy Officer, Kelvin Cheong, General Manager of Digital, Seng Way Seng. The online marketplace kicks off its next phase with the launch of the Sayangi Malaysia campaign which offers customers incredible flash deals below RM61, free shipping and more. This transformation comes on the heels of a strategic partnership between 11street and PUC Ventures Sdn Bhd. This partnership aims to tap into a broader digital world with the ease of integration and interoperability across platforms that cater to the country’s growing e-commerce sector. 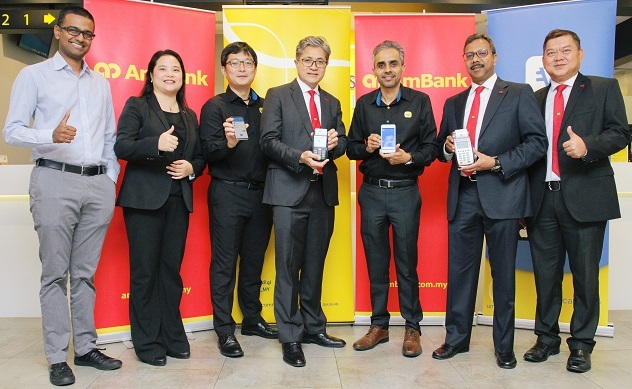 AmBank (M) Berhad (AmBank) continues to step up its digital strategy by opening up its wide merchant network to accept Digi’s vcash QR code as an additional payment service. This ‘e-payment partnership’ with Digi Telecommunications Sdn Bhd (Digi) takes on a two-pronged approach. Firstly, AmBank’s merchant point-of-sale (POS) terminals will be enabled to accept vcash QR code transactions. What this means is that vcash users can pay for their transactions via Digi’s vcash mobile app. vcash users only need to scan the QR code to pay. Secondly, Digi will be signing up small and mid-sized enterprise (SME) merchants under the Master Merchant programme with AmBank. This will translate to more merchants accepting vcash payments, while growing AmBank’s merchant base. (L-R) Praveen Rajan, Chief Digital Officer, Digi; Goh Mei Lee, Group Chief Transformation Officer, AmBank Group; Eugene Teh, Chief Business Officer, Digi; Dato’ Sulaiman Mohd Tahir, Group CEO, AmBank Group (centre); Albern Murty, CEO, Digi; Datuk Iswaraan Suppiah, Group Chief Operations Officer, AmBank Group; and Lenon Cheong, Head, Cards and Merchant Services, AmBank (M) Berhad. 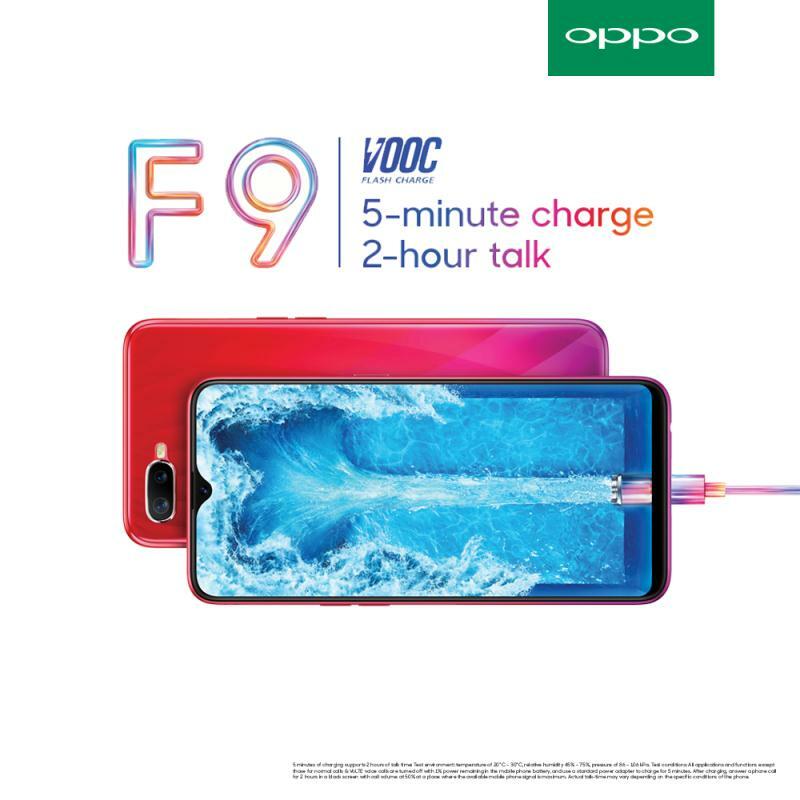 The first F-series in Malaysia supported VOOC Flash Charge (5 mins charge for 2 hrs talk) ; Waterdrop screen with Flower petal pattern, the OPPO F9 has now confirmed to bethe first F-series which has a dual rear camera. The 16MP + 2MP dual-camera setup, allows users to take extraordinary portrait photos through the rear camera. Against a backdrop of tariffs, trade wars, and media wars, TMT has arguably been the top sector to watch in the year to date. Among the most high profile events in just the last couple of months, the sector has witnessed the collapse of the NXP/Qualcomm transaction as a result of trade tensions between China and the US, as well as Comcast abandoning its bid for Fox in an effort to focus more on its bid for Sky in its growing battles with Disney over market share. Despite all of the upheaval, the sector grew in the first half of the year, according to Mergermarket data through the end of H1 2018, with total deal value for the sector globally reaching US$ 371.1bn, a 107% jump in value compared to US$ 2017 (US$ 179.4bn). 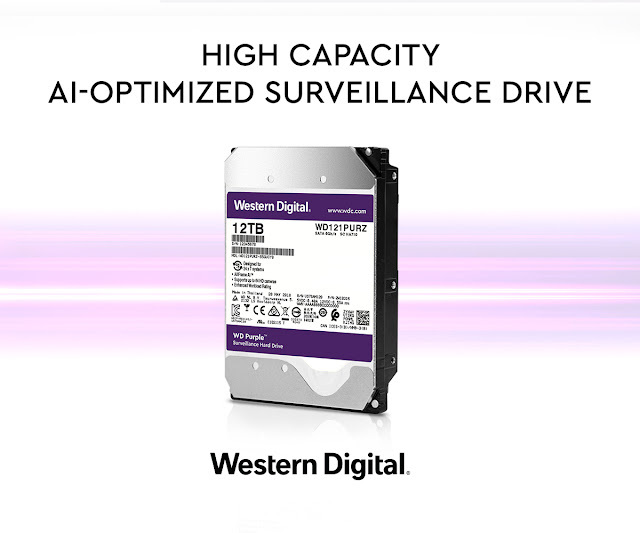 You may also access the report at http://www.mergermarket.com/pdf/H12018TMTTrendReport.pdf. 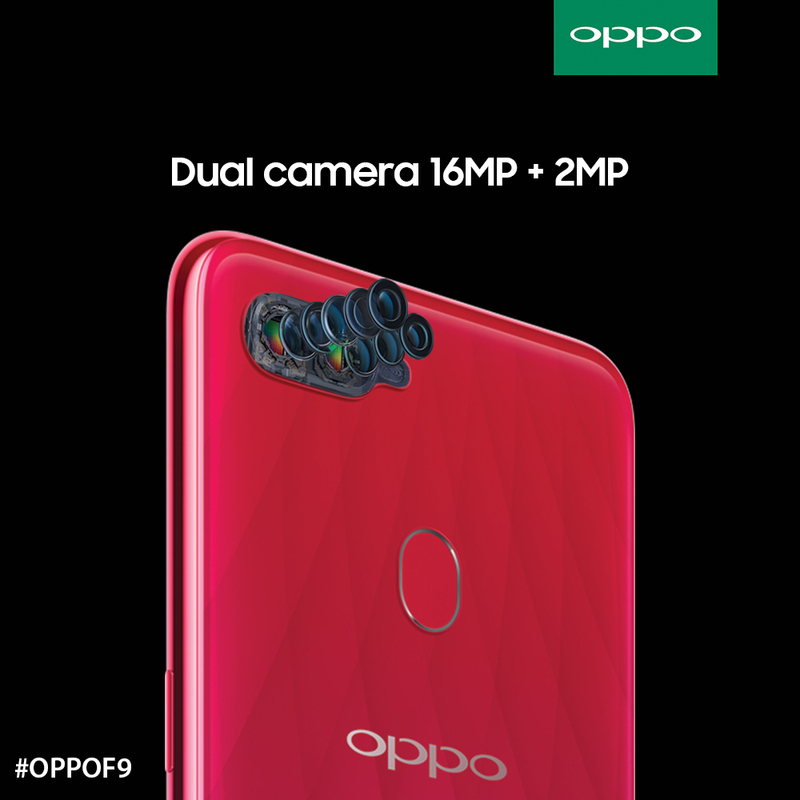 Equipped with a powerful Dual 24MP camera system in the front, the newest nova features a total of four cameras powered by Artificial Intelligence (AI). The HUAWEI nova 3i made its successful debut last Saturday, 28 July with a robust sales outcome. Building on that success, customers can now own a HUAWEI nova 3i easily via attractive postpaid plans. Modern security and IT operations teams often have no reliable way to assess the current state of endpoints across their enterprise. This lack of visibility leads to increased risk of breach, inability to make informed remediation decisions, and unnecessary spending on infrastructure maintenance. LiveOps allows organizations to move away from incomplete solutions which are inadequate for security teams and IT operations. “With Adaptive Insights as part of Workday, organizations will have a more comprehensive planning system that further fuels finance and business transformation to drive competitive advantage,” said Mickey North Rizza, program vice president, Enterprise Applications & Digital Commerce, IDC. Leading data technology specialist Fusionex released its revolutionary platform called SME FORYOU during the International Retail and Franchise (MIRF) 2018 Exhibition at the Kuala Lumpur Convention Centre (KLCC) recently. 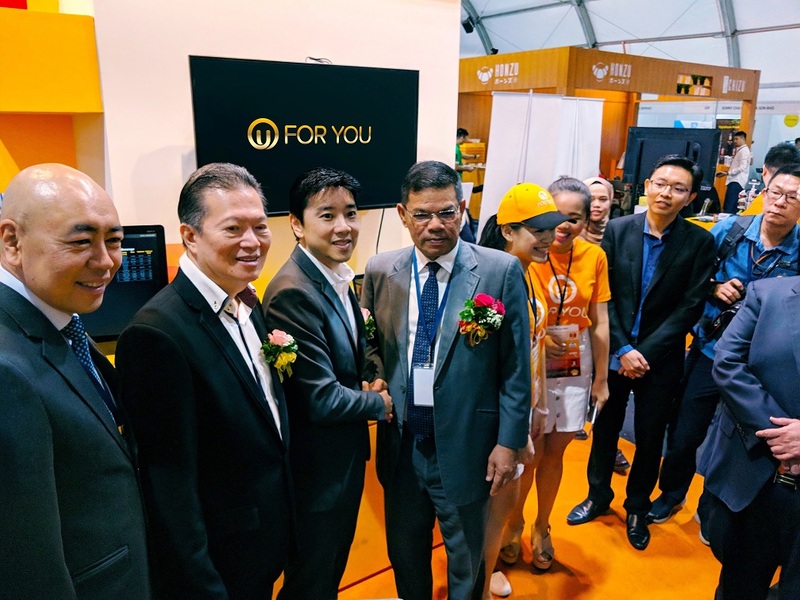 Fusionex Founder & Group CEO Dato' Seri Ivan Teh, together with Malaysia’s Domestic Trade & Consumer Affairs Minister Dato' Saifuddin Nasution Ismail, officiated the launch of SME FORYOU at the MIRF Exhibition 2018. Designed for small and medium enterprises (SMEs) in the region, the user-friendly platform is aimed at encouraging SMEs to adopt Big Data Analytics (BDA) and kick-starting their e-commerce plans, enabling them to promote their brands and products to more than 8 million customers from local and international markets. SME FORYOU will help SMEs to fast-track overall sales, acquire new customers while increasing the rate of repeat transactions. Hitachi Sunway Information Systems Sdn. Bhd. (“Hitachi Sunway”), a leading ICT Services Integrator in ASEAN, shares that the company will be aligning its entire business operations to the Internet of Things (‘IoT’) trend that has hit Malaysian shores since last year. 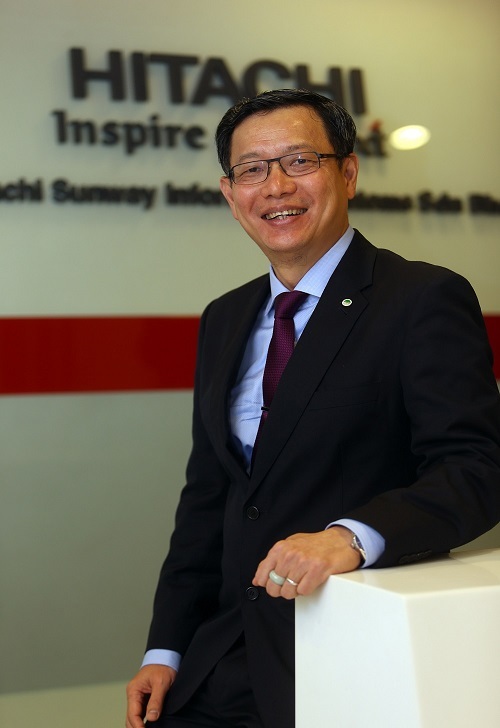 Hitachi Sunway Group CEO and Director Cheah Kok Hoong shares that the company has adopted a strategic business direction towards delivering IoT-related projects as IoT has been identified to generate the biggest IT demands by Malaysian companies over the foreseeable future. Hitachi Sunway’s main role is to bring together the best technologies available in the market, and customized hybrid solutions and systems for its clients that operate in a diversity of vertical industries. Sophos released a whitepaper that takes a deep dive into the SamSam ransomware attack that first appeared in December 2015. Over two and a half years, the SamSam ransomware has raked in nearly USD $6 million in ransom when previously reported figures stand at only USD $85,000 in ransom. 74% of the known victims are based in the US, while the following regions suffered attacks: Australia (2%), India (1%), the Middle East (1%), Canada (5%), and the UK (8%). Businesses worldwide should be vigilant and ensure that their software and hardware are updated to prevent such ransomware attacks from happening in the future. Sophos recommends restrict access to port 3389 (RDP) by only allowing staff who use a VPN to be able to remotely access any systems. Utilize multi-factor authentication for VPN access. Kaspersky Lab have detected a new wave of financial spear-phishing emails designed to make money for cybercriminals. The emails are disguised as legitimate procurement and accounting letters and have hit at least 400 industrial organizations, mostly in Russia. Therefore, Kaspersky Lab advise users to use security solutions with dedicated functionality aimed at detecting and blocking phishing attempts. According to Kaspersky Lab data, this wave of emails targeted around 800 employee PCs, with the goal of stealing money and confidential data from the organizations, which can then be used in new attacks.